In my early years as a blogger the great Andrew Breitbart was very good to me. We didn’t know each other, you understand, I just linked a lot of Big Government and Big Journalism stories, and he just sort of put up with my pingbacks over there. But he did link me twice, and my page-views skyrocketed from something like 45-a-day to 6,000 reads overnight! No one was that kind to me again, until a couple of years later when Robert Stacy McCain — himself a recent target of left wing speech Nazis — linked me. 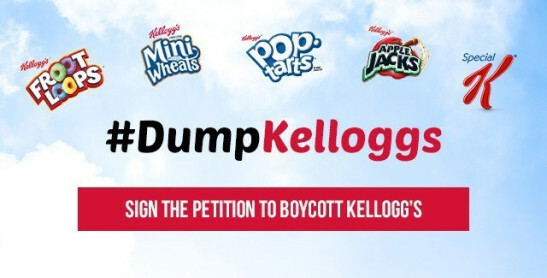 Last week cereal giant Kellogg’spulled it’s advertizing from Brietbart.com, and for a very stupid, if not downright sinister, reason.